Just taking a quick break from Plural Marriage Month, I couldn’t wait to post these online. I need to fix this one. I went to the Church History Museum in Salt lake last week and saw that the little squigglies in each lot are actually numbers. I put boxes to represent houses but I want it to be a little bit more accurate to the original plat. The grey marks are what look like pencil marks on the original plat. They seem to have been added after the ink lines(shown in black). This one needs changed too. 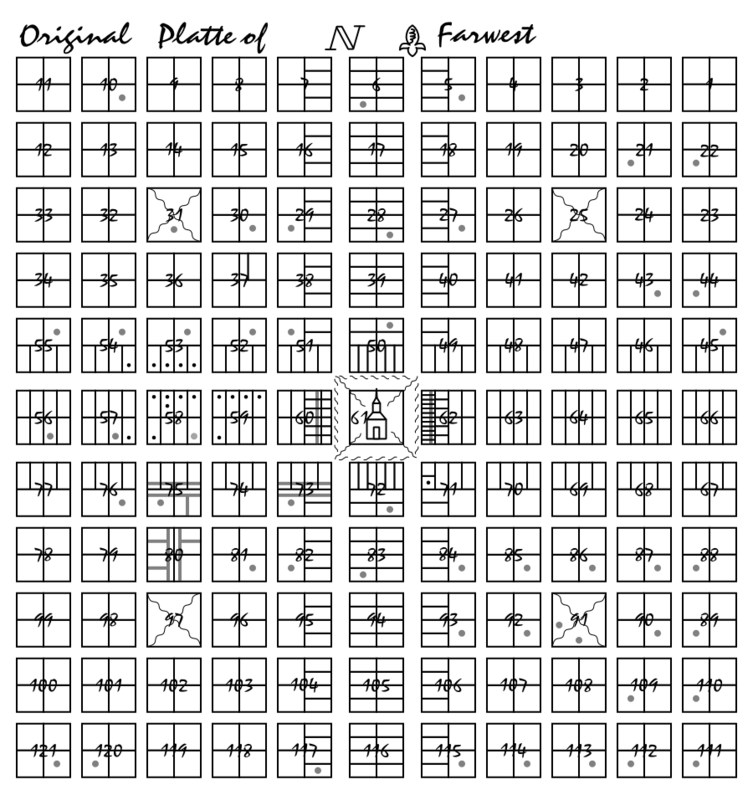 I saw on the original plat that instead of just little dots in some of the lots they are actually numbers. So I nee dto change that. I also need to change the shading of the river. I’m really inetersted in the Strangites. 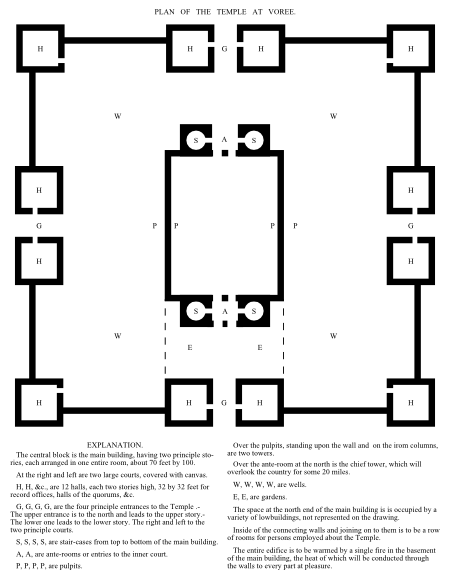 So I created this from the woodcut of the plan for the temple. Thanks for posting those plats. I had not seen anything like them before. 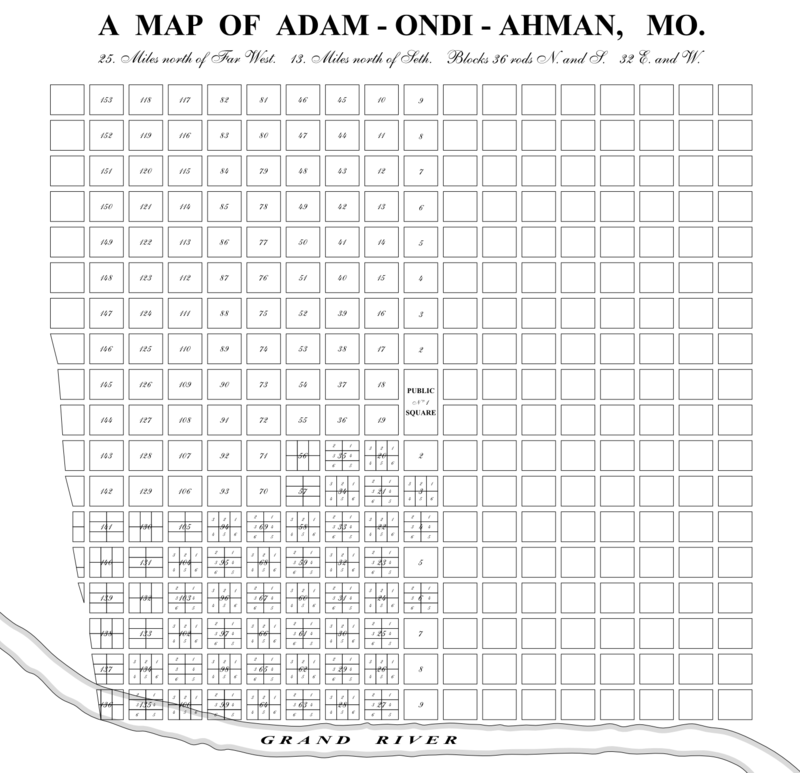 Never realized Adam -Ondi-Ahman had been charted like that. Very nice. I have a soft spot in my heart for the Strangites myself. They seemed to have a clearer grasp of the gospel than the Utah Mormons did at the time. Plus, anyone who can actually come up with The Book of the Law of The Lord after it had been lost for centuries wins points in my book. Yeah. The most common one is the first Plat of Zion, followed probvably by Far West. You have to really look high and low for Second Plat of Zion, Adam-ondi-Ahman, and Nauvoo. Even then they are horrible images. The best place is to photograph them at the museum. But even then, the Second Plat of Zion is not on display, only an enlargement on the upper floor. I’m working on the Plat of Nauvoo. It is the biggest. I saw John Hamer had a Plat of Kirtland. I might contact him to find out more about it. If there really was one that would probably be the rarest. It’s really amazing how few people actually know about these, or care. Well, put me on the list of those who care. Yeah, I’ve seen it there. You can also find them in various transcripts online. They’re also contained in the book Sacred Stones. I personally believe they should be in the scriptures, but, hey, that’s just me. I just love these naming systems though. They’re always long and descriptive. Like the Church of Jesus Christ of Latter Day Saints; or The Kingdom of God and His Laws with the Keys and Power thereof, and Judgment in the Hands of His Servants, Ahman Christ; or House of the Lord for the presidency of the High and most holy priesthood after the order of Melchizadeck. Ah, I just love ’em! My first job was at the Elk’s Lodge in Anaheim where I worked as a dishwasher. Members called the place the Elk’s club, but the actual name of the organization was “The Benevolent and Protective Order of the Elk”. There just seemed to be some need for aggrandizing the names of things back in the day. The Mutual Improvement Association. The Juvenile Instructor. Next time Sidney, do us all a favor and choose easy. 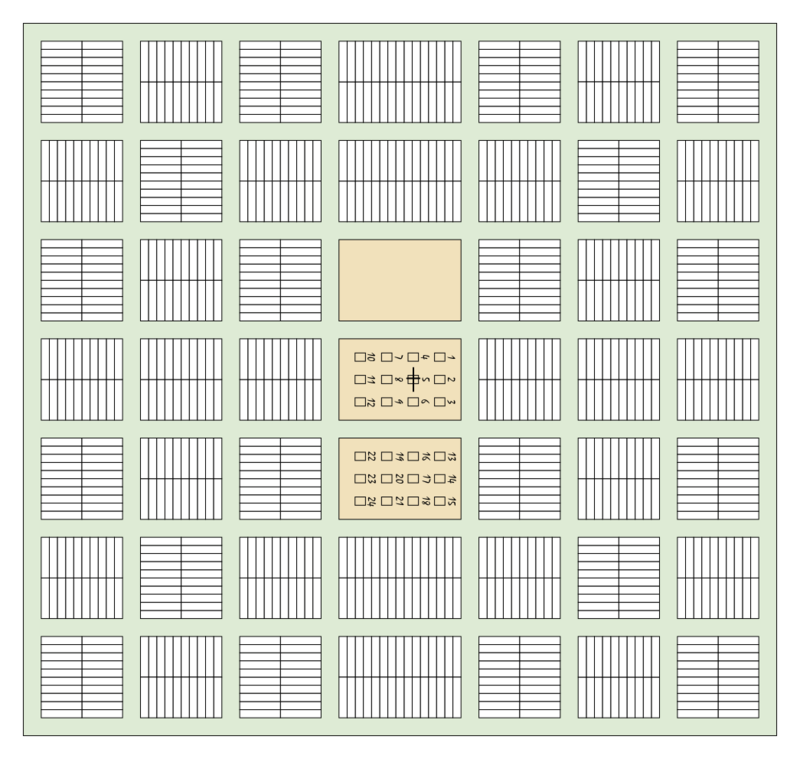 With Justin’s latest LDSA blog post in mind, and having perused the Book of Revelation today (because of that post), as I look again at the 24 temples that were intended to be built (with their long names), it makes me wonder if Joseph Smith had Revelation 4:4 in mind, so that 24 seats/thrones/temples would reside within the throne/plasma column, fulfilling the scripture. Wow these are beautiful drawings. 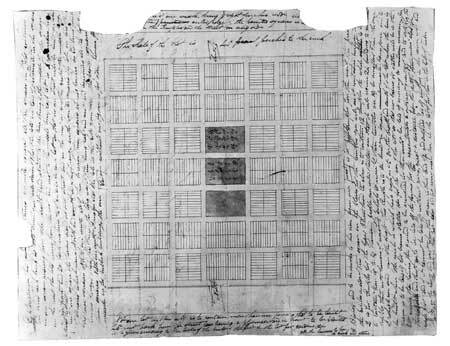 I am writing a dissertation on the early LDS that includes a section on Mormon settlement patterns. Do you mind if I use your Adam-ondi-ahman drawing? If I can use it, what should I give as the copyright? Feel free to use any drawings you want. You can attribute them to, Michael Ellis; if you want. Or you can use them without attribution if you want. I’m not really picky about that with anything on this blog. Thanks, fellow researcher. I have since decided that your path is the true one, and that through imitation comes understanding. So I am making my own drawings from the originals, and checking it against the others (such as yours). As a result, I now suspect that there is a problem with your Zion plat, though, because the alternation pattern is actually more tricky than it looks in your rendering (you may have fixed that since then). If you look at https://www.lds.org/bc/content/shared/content/images/gospel-library/manual/35685/35685_all_025_02-zion.jpg, you will see that the corners actually form little brackets facing outward. 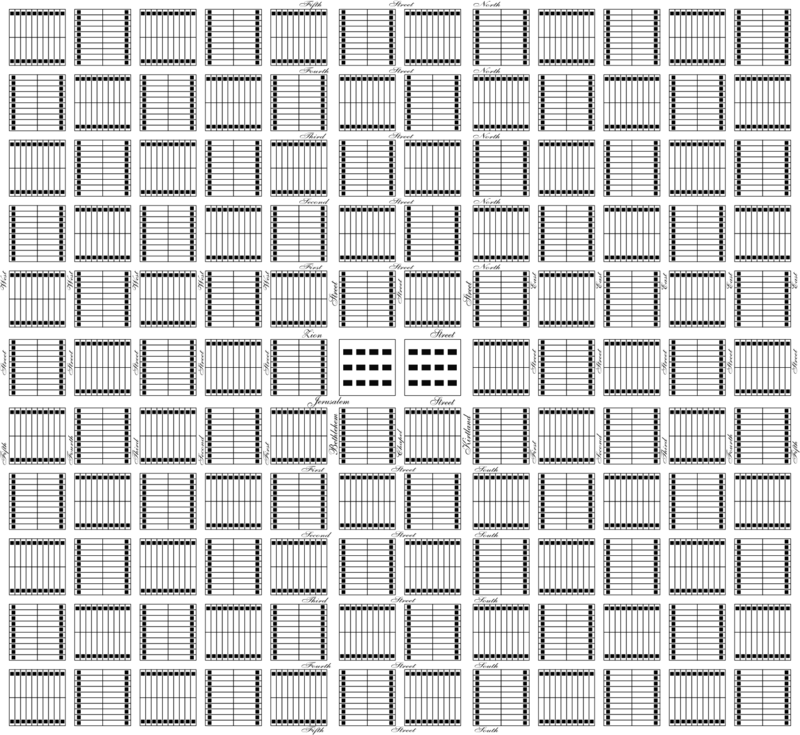 That is, the block with the 0-based coordinates (1,1) is actually laid out the same as (1,0) and (0,1), not like (0,0). Due to symmetry, this applies to all four corners, of course. Oops that Zion URL is not working like expected. Let me fix that.